Front Flap: "Michelle Maxwell has just wrecked her promising career at the Secret Service. Against her instincts, she let a presidential candidate out of her sight for the briefest moment, and the man whose safety was her responsibility vanished into thin air. Sean King knows how the younger agent feels. Eight years earlier, the hard charging Secret Service agent allowed his attention to be diverted for a split second. And the candidate he was protecting was gunned down before his eyes. Now Michelle and Sean are about to see their destinies converge. Drawn into a maze of lies, secrets and deadly coincidences, the two discredited agents uncover a shocking truth: that the separate acts of violence that shattered their lives were really a long time in the making--and area long way from over." Split second is an excellent story with many twists and turns and keeps you reading long into the night. The more information Michelle and Sean uncover, the more complex the situation becomes. 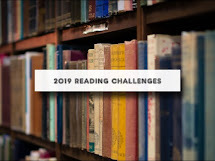 Add to the mix, the dead bodies piling up behind Sean and Michelle as the bad guys try to cover up and confuse them; the attempts on their lives; bad guys who are really good guys and good guys who are really bad guys and you have one exciting story. 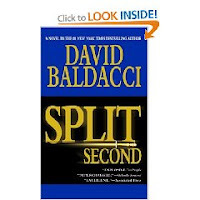 This is the first time I've read anything by David Baldacci and will be going back for more.